The low pressure area (LPA) over central parts of South Bay of Bengal & adjoining equatorial Indian Ocean and the associated Cyclonic Circulation persists. Another fresh low pressure area is likely to develop over Southeast Bay of Bengal around 29th November. This is expected to give the much needed heavy rains at isolated places over South Tamil Nadu. The system movement is closely watched as the first LPA is currently interacting with the land over Sri Lanka. Subsequently central and North coastal Tamil Nadu and interiors could start getting isolated showers as well. Cold wave conditions are very likely to prevail at isolated places over East Rajasthan, Haryana, Chandigarh & Delhi and Uttar Pradesh over next 24 hours. 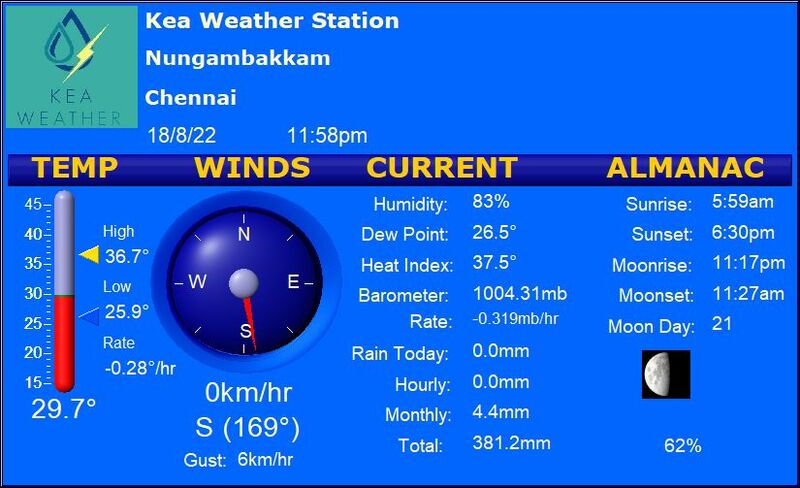 Chennai – Partly Cloudy, pleasant condition with Max Temp of 31°C. Rain chances to increase in a day or two. Vellore – Mostly cloudy condition with Max Temp of 31°C. Light rain expected in the city. Madurai – Mostly Sunny and less humid. Max temp would be around 33°C. Chances of light rains possible. Trichy – Partly cloudy and warm. Max Temperature would be around 34°C. Chances of precipitation likely after late evening. Coimbatore – Partly sunny & pleasant. Max Temperature would be around 32°C. No rain expected. NEM was excess for three consecutive years during 1930, 1931 & 1932. The same magic repeated during 1977, 1978 & 1979.